These muffins turned out SO well!I’ve made them before (you can see them on my old blog – http://eat-freely.blogspot.com/2011/01/apple-muffins.html). However, I altered the recipe to be gluten free and sugar free. I also added flax and fiber powder to give it more of a healthy kick. I think you’ll be happy with these! I tried two batches with different sugars. I used stevia and xylitol. They both turned out really good and I can’t taste much of a difference. 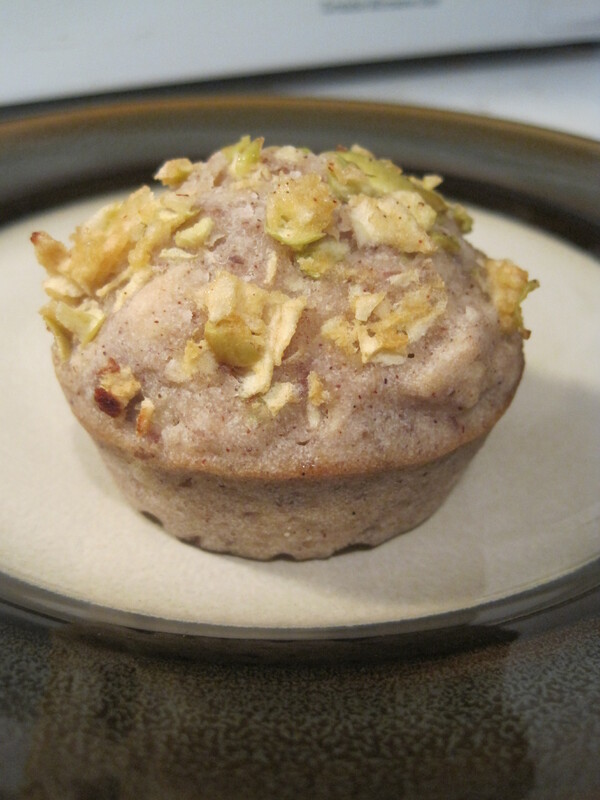 I usually prefer xylitol but both were great in this recipe. I’ll include both sugar substitutes in case you have a preference. Free of the Top 8 Allergens – dairy, eggs, soy, peanuts, tree nuts, fish, shellfish, and gluten/wheat free! Preheat oven to 375 degrees F, and spray a 12-cup muffin pan with dairy-free baking spray, coconut oil, or flour it. In a bowl, combine the melted coconut oil/margarine, applesauce, and rice milk. Mix well. In a separate medium bowl, mix together the flours, baking powder, the 1 teaspoon of cinnamon, nutmeg, and “sugar” (unless you’re saving it until the end to get it just right like I did), and the flax and fiber if you’re using them. Add the dry ingredients to the apple mixture, and stir. Fold in 1 cup chopped apple. 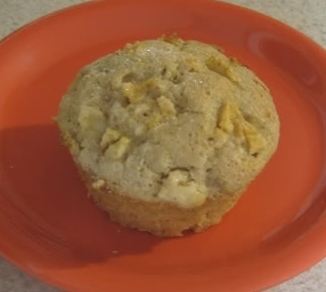 Fill the prepared muffin cups with batter, and top each with the remaining 1/3 cup diced apples. Bake for 20 to 25 minutes, or until a toothpick comes out clean. For the new version, the 6 on the left are stevia-sweetened, and the 6 on the right are xylitol-sweetened. If you try them, let me know what you think! You might be thinking, “Avocado? In pudding? Gross!” But it’s actually REALLY good! 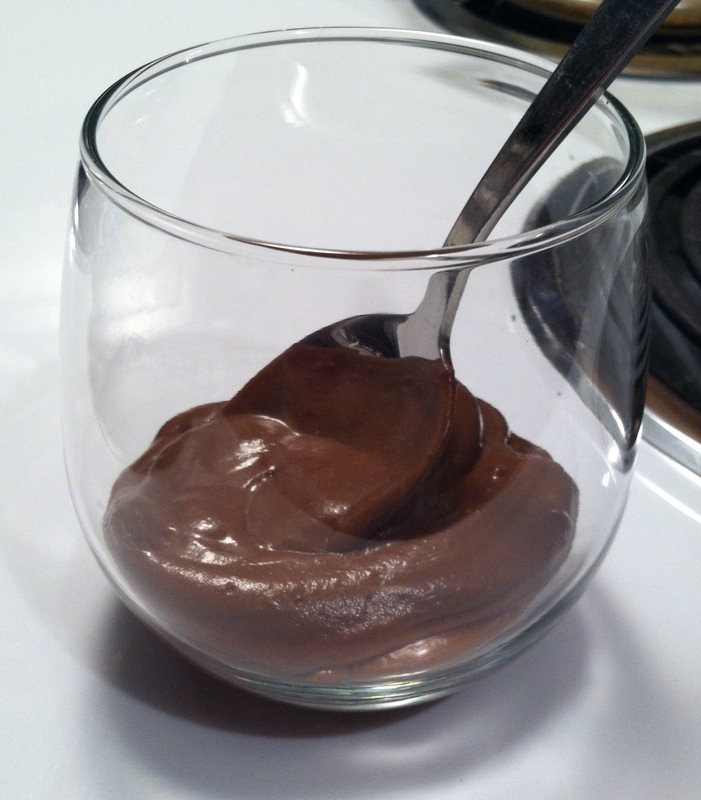 I haven’t had pudding in 2 years due to allergies so when I found this recipe, I was hesitant, but excited. At work we get this magazine by Garden of Life called Extraordinary Health. They always have awesome, raw recipes. 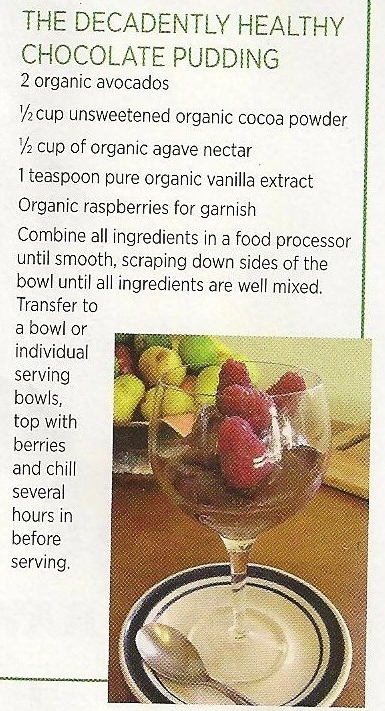 This recipe can be found in Volume 14 on page 11. 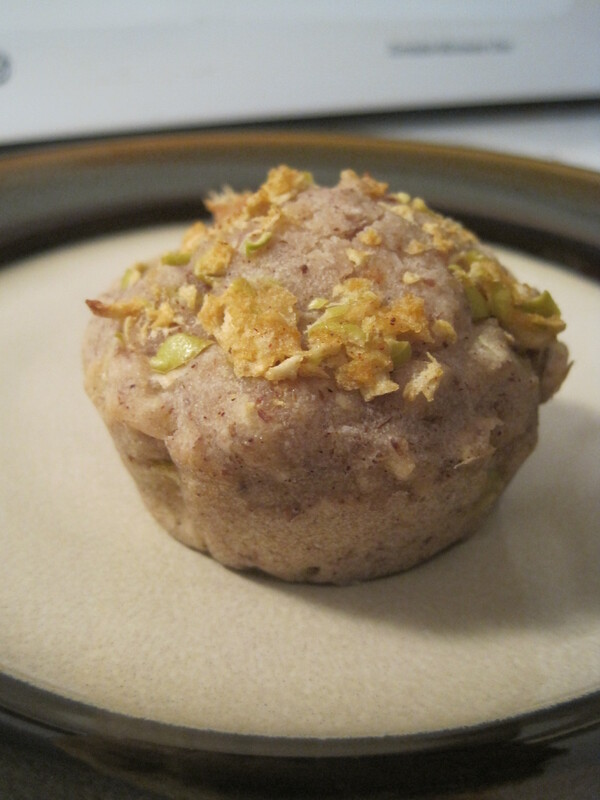 However, I have made alterations but I’ll post the original if you want to keep it that way – but mine is better :)The original called for agave nectar but I was reaching for 0g of sugar so I used stevia instead. I’m not much of a stevia fan but this was actually good. I also tried it with xylitol mixed with water (in order to dissolve the granules) and that was delicious too, so do whatever works for you or what you have on hand. Free of the top 8 allergens – dairy, egg, soy, peanuts, tree nuts, fish, shellfish free, wheat/gluten free. Blend until all avocado chunks are gone and is a creamy texture. Taste and adjust flavors as necessary. I am on a huge avocado kick right now so expect some recipes with avocado! 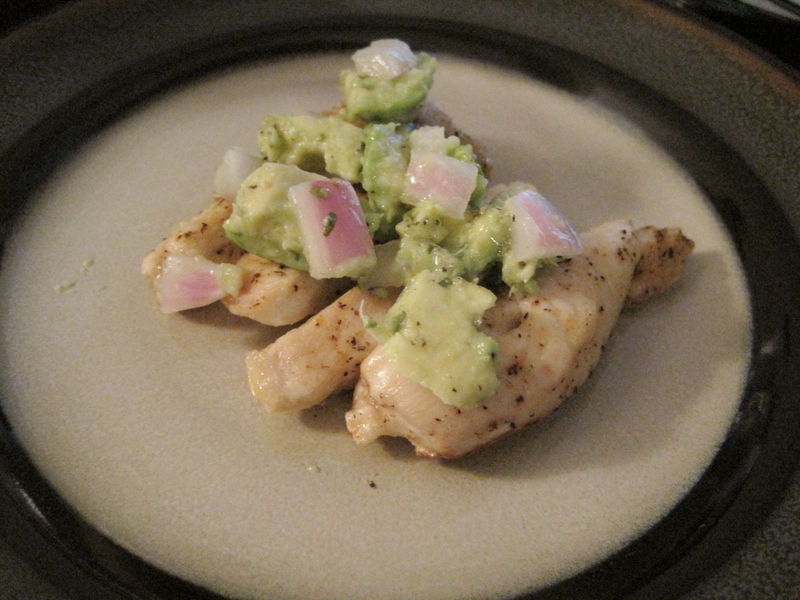 Tonight for dinner I made cayenne chicken and an avocado salsa to go on top. 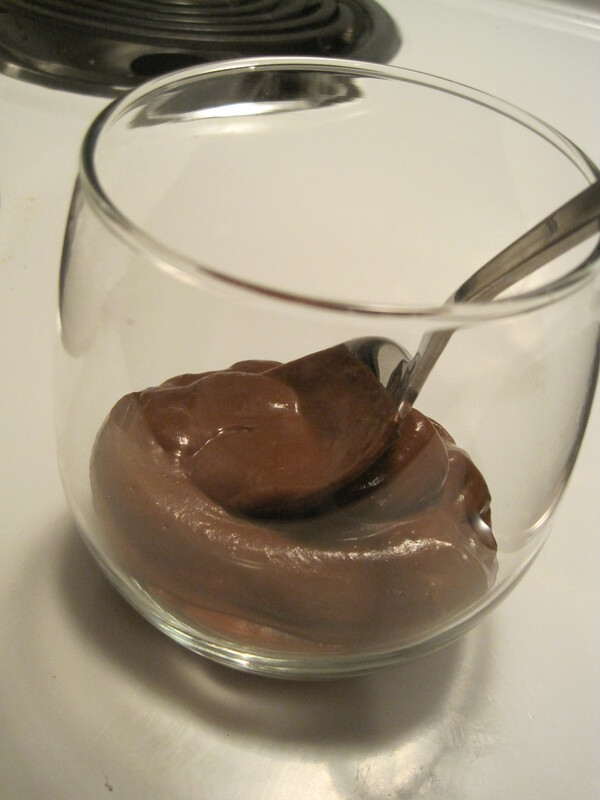 It’s really easy and I made dessert while it was cooking (will be on the next post!). It’s really delicious, though slightly spicy. Next time I would lessen the cayenne and add tomatoes to the salsa. Free of the top 8 allergens- dairy, egg, soy, peanuts, tree nuts, fish, and shellfish free. Preheat oven to 400 degrees F. Spray baking dish with cooking spray. In a bowl mix salt, pepper, and cayenne pepper. rub over chicken and place in dish. Squeeze 2 Tbs of lime juice over chicken. Bake for 20-30 minutes until chicken is cooked. While baking, prepare salsa. Put red onion and 2 Tbs lime juice in a bowl. When chicken is finished, mix in the avocado and season with salt, pepper, and desired spices (I used parsley and oregano). Serve over chicken. I am a graduate of Colorado State University, receiving a Bachelor's Degree of Science in Food Science and Human Nutrition with a concentration in Dietetics. I am currently a WIC Nutritionist. 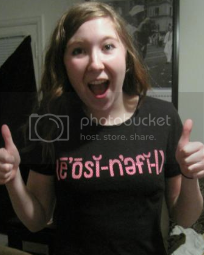 I was diagnosed with Eosinophilic Esophagitis and I am allergic to milk, peanuts, peas, pistachios, salmon, and coconut. I also severely limit: eggs, soy, corn, beef, almonds (negative this time but was positive last time), hazelnut, pecan, sesame seeds, cantaloupe, oranges, peaches, watermelon, ginger, malt, crab, lobster, shrimp, potatoes (white and sweet), and perch. This blog is about my struggle on surviving with food allergies while staying healthy.